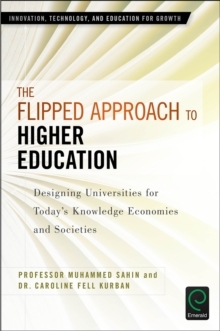 From the world's first completely flipped institution, the authors address the socio-economic and socio-technical nature of today's world and how this impacts what is needed from the education sector, outlining how and why they adopted Flipped Learning as the transformative approach required to meet these needs, and definitively describe the organizational design process needed to establish a Flipped institution, from physical and geographical infrastructure, to human and intellectual capital. Included in this book are chapters in which administrators, pedagogical and technical support staff, instructors and students share their experiences and lessons learned in the first year and how the Flipped approach has impacted their education experience. These experiences are then used to develop performance improvement initiatives for leadership, institutional commitment, the infrastructure, and instructor and student support and development.